Are you planning on setting 2012 goals this year for your home business whether online or offline, social media or social networking LIVE? 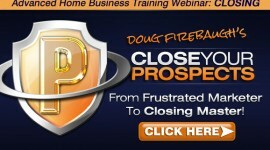 Are you planning on having a DIFFERENT year in 2012– or the same year in mlm? What are your PLANS for your network marketing goals and ar ethey gong to MOVE YOU? There are only 2 types of goals – Goals that PUSH you and paralyze you, and goals that PULL you towards them almost effortlessly in your mlm home business. I call them MAGNETIC Goals. Most set PUSH goals and begin the laborious process of working, working, and working, and never feeling like they are going to achieve them. Those goals end up becoming ANCHORS and you start feeling the weight of the goals. These types of goals become almost a burden and then you start to question whether or not if it is worth it, and if you really are going to continue. These types of goals do not INSPIRE you. They are not connected to the heart and these goals are what you think you should be gong for, not what you really want to go for. Magnetic Goals PULL you towards them. Magnetic goals DRAW you towards them daily, and you find yourself accomplishing on a daily basis what needs to be accomplished. Magnetic goals contain a powerful PURPOSE that your heart is connected to. It does not matter whether they are what other people want. These goals are what YOU want. Magnetic Goals LIGHT YOU UP – just thinking of them. Magnetic Goals FIRE YOU UP. Magnetic Goals SET YOUR FUTURE ONFIRE. Magnetic Goals MOVE YOU on the inside and PULL YOU towards them. You do NOT SET Magnetic Goals. You CONNECT TO THEM and THEY SET YOU – on a course to CAPTURE THEM with NO other option. 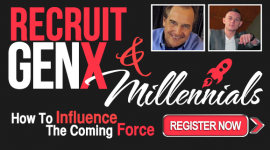 on a course to CAPTURE THEM with no other option for your network marketing business. You are so DRAWN TOWARDS these types of Goals that you cannot see any other possibility except to capture those goals for your multi level marketing business. Magnetic Goals STRETCH YOU and GROW YOU as they are powerful growth tools. They also ENLARGE YOU in what you think is possible in 2012. How do you CONNECT to Magnetic Goals for your home business? Magnetic Goals basically revolve around LIFESTYLE and INCOME. Yes you can set goals as far as physical, and professional, and emotional. But Magnetic Goals are more powered by Lifestyle and Income. What part of your Lifestyle do you want to Enlarge in 2012 and when you think about that, it MOVES you on the inside with excitement and HOPE ? What is the FIRST THING you need to do in order to start MOVING TOWARDS that Magnetic Goal? What are the parts to that first step? BREAK IT DOWN into doable parts and actions. Then set a REWARD for yourself once you have achieved these small steps. For instance, the FIRST thing you need to do to increase your income in 2012 is to increase your activity level, say by holding 30% more business conversations in 2012, which will increase your exposures, which will increase your prospects, which will increase your presentations, which will increase results. 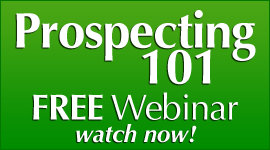 Prospecting, approaching, presenting, following up and closing. NOW you have to set goals for EACH TASK– BUT set a reward and Celebration for achieving the increased number in each task. The normal increase that most can get excited about and seeing done is 30%. 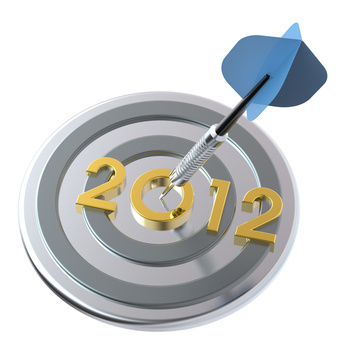 If you wanted 6 new leads a week last year- focus on 8 new leads a week in 2012 (a 30% increase.) 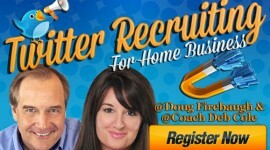 If you want 50 new leads a week, then in 2012, it would be 65 new leads. Put a weekly activity sheet together now, and fill in your activities DAILY and let your sponsor know what you are doing and send them a copy of your weekly Magnet Sheet. What is the SECOND THING you need to do in order to continue moving towards that Magnetic Goal? What are the parts of that step? BREAK IT DOWN into doable parts and actions. Then set a REWARD for yourself once you have achieved these small steps moving you towards your network marketing success and lifestyle. Continue to focus on ALL the STEPS that are needed in order to capture the Magnetic Goal. Write them down in order and break each one down into small doable actions and set rewards along the way a shown above. These “rewards” are known as “Success Magnets” as they keep you focused on achieving the goal for your new lifestyle and home business. Now….engage the FIRST small step — of the first thing you do to start moving towards the goal. Once you have achieved this action- write the Success down in your “Celebration Journal” and continue on to the next small step. Now…here is the “secret sauce”- Get a poster board and some magazines and clip out pictures of those images that look like what your Magnetic Goal is in lifestlye and income. These represent your increased lifestyle and income, so STRETCH yourself and DREAM and then find the dream pictures. Paste them on the board and above the pictures write- “2012 Magnetic Goals Achieved” and look at it daily to weld that picture into your mind of where you are headed in 2012. The secret to Magnetic Goal Success is LACK of OVERWHELM and LOTS of EMOTIONAL FIRE on the inside for the Lifestyle. These types of goals are “chunked down” and not overwhelming. But they are also EXCITING to you because they are leading you step by step to a new, incredible lifestyle- one sale, one recruit, one new team member ar a time for your home based business. If you set Magnetic Goals, you will start seeing them PULL YOU towards a life and lifestyle that you never thought possible in your network marketing home business! 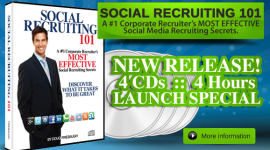 FREE Social Media Recruiting ebook- Social Recruiting Power- over 50 recruiting secrets! 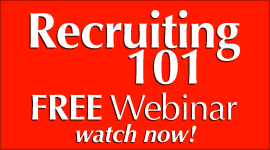 FREE Team Building 101 Webinar- a 97.00 Value- watch it FREE NOW! 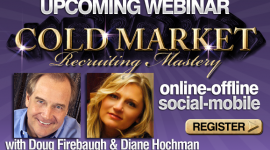 Network Marketing – What is the ONE SECRET to Hitting the Two Types of Goals? 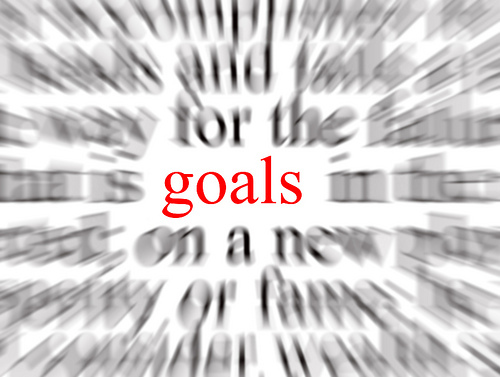 goals are critical in any success endeavor that you may engage. Goals are where you are headed on a day by day hour by hour basis. Network Marketingis a very GOAL DRIVEN Success vehicle, and that is why many people struggle-they do not set the Goals that will DRIVE your business. 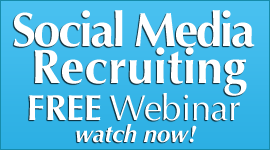 For example, in every network marketing mlm company, you will find there are POSITIONS or RANKS that you must obtain. These are goals for you to focus on, work towards, capture and to obtain. Your company probably has these levels of achievement and you may already have been promoted- Congrats! But yet- positions and levels actually — NOTE–are the FRUIT of Goals– and not really the goals themselves if you REALLY want to get technical. You set goals on a daily basis for your home business and those goals you must engage and obtain to drive your business forward and also to get closer to the rank you are shooting for. Your daily goals actually are the DAILY DRIVERS in your MLM success, but your Rank or Title you are aiming for is the FOLLOW THROUGH FRUIT that occurs and happens when you Follow Through and obtain your daily goals. Ok…then why don’t most people HIT their goals instead of missing them? There is a secret that we have learned that you MUST grasp in your network marketing business and if you do, you will be amazed at what happens to your business. 1. Goals that YOU SET. 2. Goals that SET YOU. Most people set goals and then ignore the goals that SET YOU. Goals that YOU SET are targets and tasks and accomplishments that will drive you forward as well as your home based business. Those goals are what you plan on and aim for and then engage towards. Goals that SET YOU are different types of goals that most do not set as they probably do not know about them and you may not as well. Goals that SET YOU are the goals and rewards that YOU give yourself for accomplishing a task, succeeding at a phone call, doing a great presentation, or getting some powerful new friends or followers on social media. These are the Goals that SET YOU in Motion. Goals that SET YOU on TRACK! 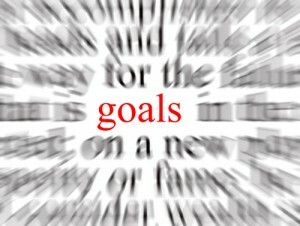 Goals that SET YOU on FIRE with a focus of achieving so you can be receiving- what you have set as your reward. NOTE: If you have goals that SET YOU- you will see so much more accomplished than you could ever believe. SET Goals that SET YOU in Motion, On track- and onFIRE for EXPLODING your Daily Accomplishments and your network marketing home business! 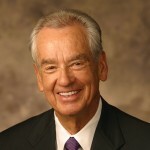 annalaurabrown.com Learn all about the principle by Jack Canfield Acknowledge your successful past.